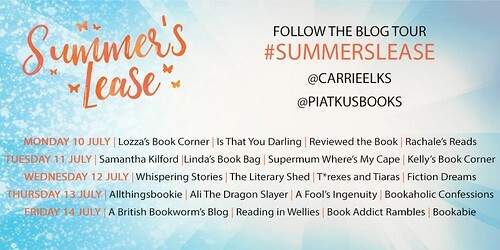 I'm excited to be part of this blog tour. I spent the weekend lost in Lake Como in Italy, where this lovely summer read is set. 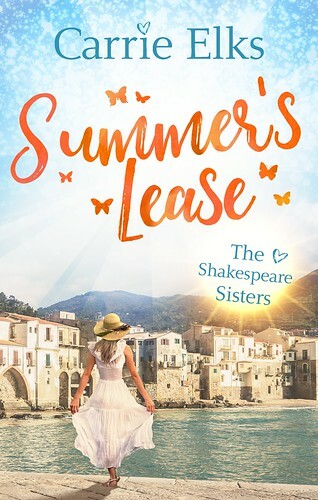 Cesca Shakespeare (one of the four sisters which feature in Carrie's books) needs to get out of the rut she is stuck in. Having never quite made it past something which happened in the past, she's bounced from dead-end job to dead-end job, not quite sure where her life will lead. When her godfather offers her something to do over the summer; his friends need a house-sitter for their Italian villa, which is due to be empty for months. Perfect for Cesca to get away and focus on writing her next big play. Except, things like this never quite go to plan, do they? And soon Cesca is caught up in an ongoing feud with one of the family, as well as getting romantically involved with a local who seems too good to be true. Whilst I've not read any of the other books in this series (yet! ), I found myself very quickly immersed in the lives of the characters and enjoying the fast-paced writing style. A great addition to your holiday reading pile, for sure. See what the others in this week's blog tour thought, too.